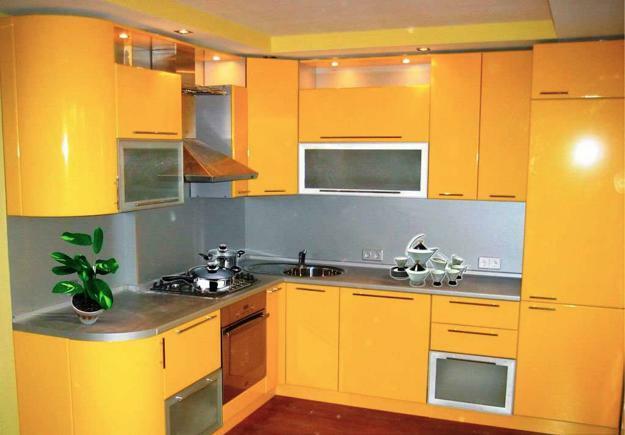 Small kitchens can be brighten up and style with light yellow color shades. Small kitchen design and color schemes for small spaces need to be light and soft to make the best with what you have, visually increasing small spaces and creating pleasant and inviting atmosphere. Small kitchens can be beautiful, comfortable and modern. 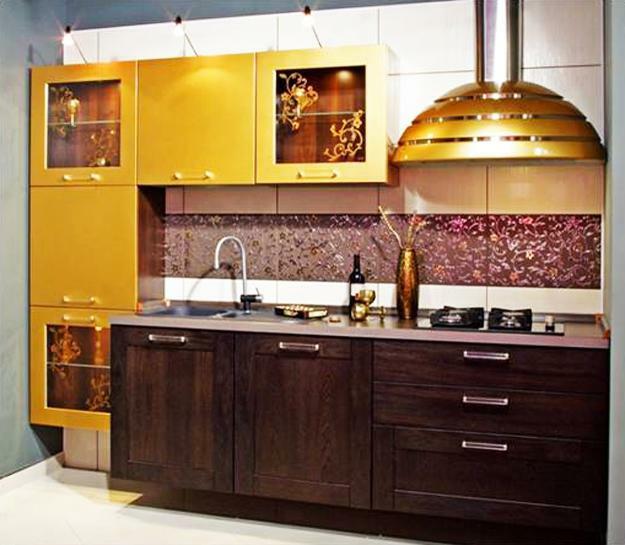 Lushome collection of kitchen remodeling ideas and inspirations for decorating kitchen interiors with sunny yellow color shades will help select the best small kitchen design for every home. 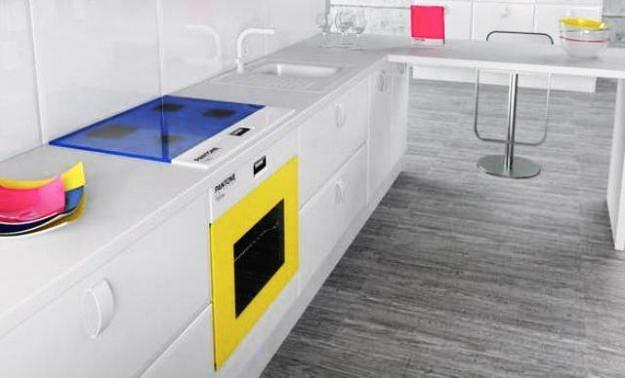 When done right, a small kitchen can look very attractive and be ergonomic. Small kitchen design and remodeling ideas that incorporate light yellow color shades are surprisingly popular, practical and stylish. 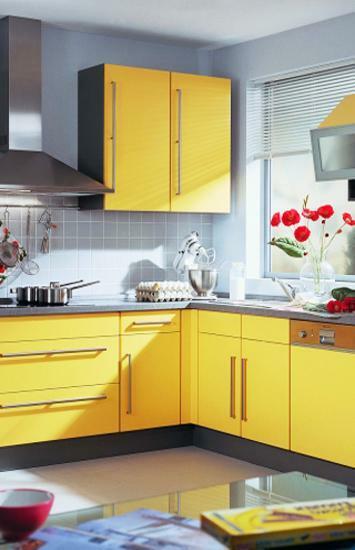 Inexpensive, but light and sunny yellow kitchen cabinets, wall paint, flooring and ceiling in pale yellow colors can transform small kitchens, bringing more light into small spaces. 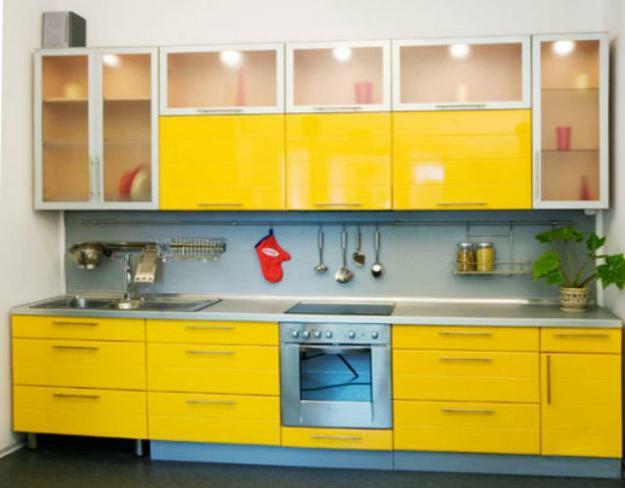 Light yellow colors offer affordable and trendy kitchen remodeling ideas that create fresh, warm, bright and spacious small spaces. Light yellow color is energizing, optimistic and warm. 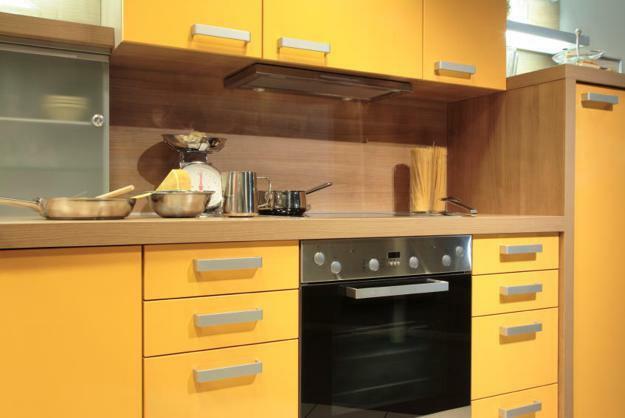 Yellow color is a nice color design choice for small kitchen remodeling. 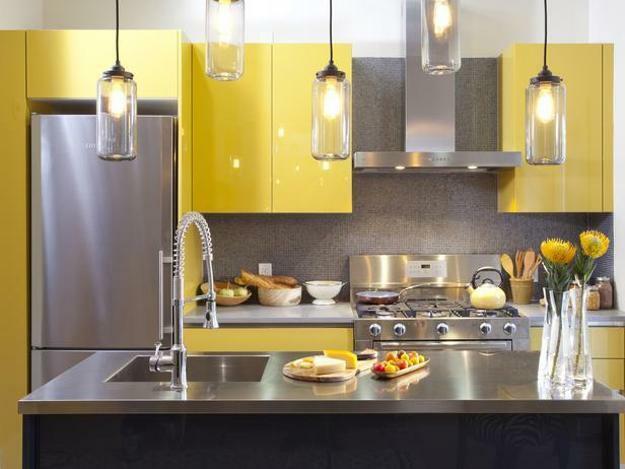 Good kitchen lighting with yellowish bulbs, yellow wall paint, wall tiles, modern wallpaper in yellow color or yellow kitchen cabinets work well together, bringing spacious and cheerful atmosphere into small spaces. 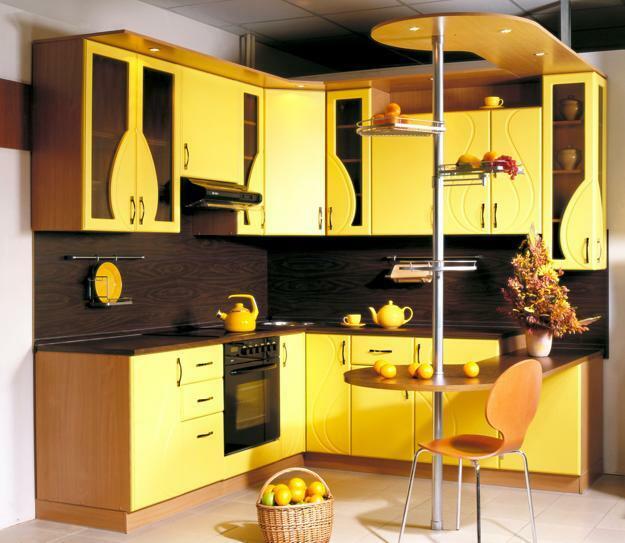 Light yellow color and accent lighting create romantic, relaxing and charming atmosphere in small kitchen interiors. A small kitchen should not be just white, plain and lacking interest. 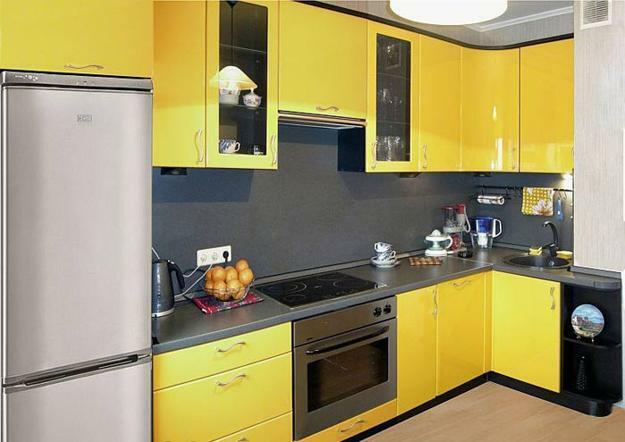 Yellow color and smart space saving kitchen remodeling ideas can work very well for pleasant, colorful and modern kitchen design. These small kitchen remodeling ideas will make small kitchen interiors look more spacious, very functional and bright. 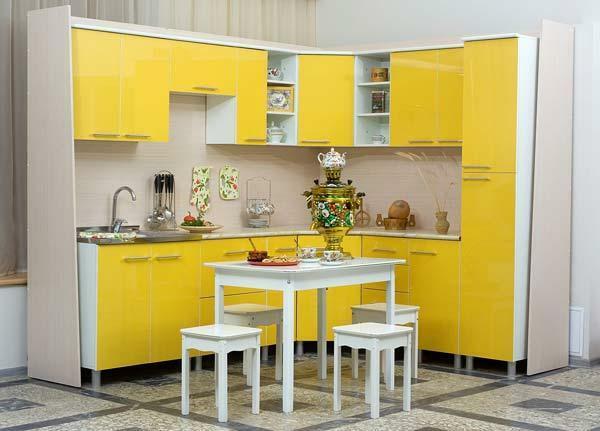 Light yellow color shades bring optimism into small kitchen design and make small spaces look sunny, colorful and bright.